A4-size, full-color photo-style image booklet. A total of 14 different artists, including original artists from the Nitroplus team, Nitroplus graphic artists, and others provided original interpretations of Nitroplus CHiRAL characters, collected in this full-color photo-book style booklet. 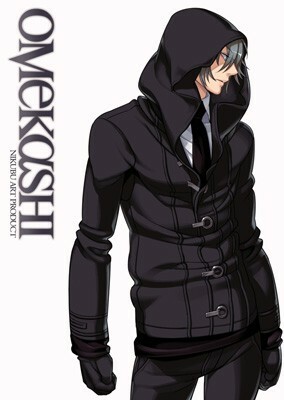 As the title "OMEKASHI" (dressing up) would suggest, all illustrations feature clothing that doesn't appear in the games! We hope you're looking forward to seeing how the Nitroplus staff has dressed these characters up. The cover is an original illustration by Tatanakana. Tatanakana, Shinya Osaki, Kimi Yanoguchi, Kinrikimantou, Namaniku ATK, Yupon ...and more! First released at Comic Market 73 in 2007.